It may not always be so easy to notice that there is a problem with your air conditioning system. Most of us take the systems for granted and just assume that it is going to work the way it should all of the time. Often it is not until the unit stops working altogether that people finally realize something is wrong. We get questions all of the time about what should be looked for to notice if the AC is having a problem and is need of service or repair. All it takes is paying a bit of attention on your part so that you can notice potential early warning signs that you need air condition repair in Woodland Hills from our service. One of the telltale signs that you can always be aware of is the sounds that your AC system makes each day. For most people, you may only notice when the system is kicking in as the air comes rushing through the vents in your room. If you think you may be having a problem, take a listen to the system as it is running. Does the system seem to be having trouble kicking on when it starts up? Is it making sounds that are louder than what you would normally expect? You may even want to take a walk outside to your system and see how it sounds to you. Anything that sounds out of the ordinary to you is worth having looked at by one of our technicians. Another sign that you may need air condition repair in Woodland Hills might be noticed if you take a close look at the unit itself. You may not have ever really looked at your system before and even if you do not have deep knowledge of how the system works you may be able to spot potential signs of trouble that you can bring to our attention. Take a look around and see if there are any areas that may be leaking or look as if they are not operating properly. The more detail you can provide for us, the easier it will be for us to diagnose the problem. 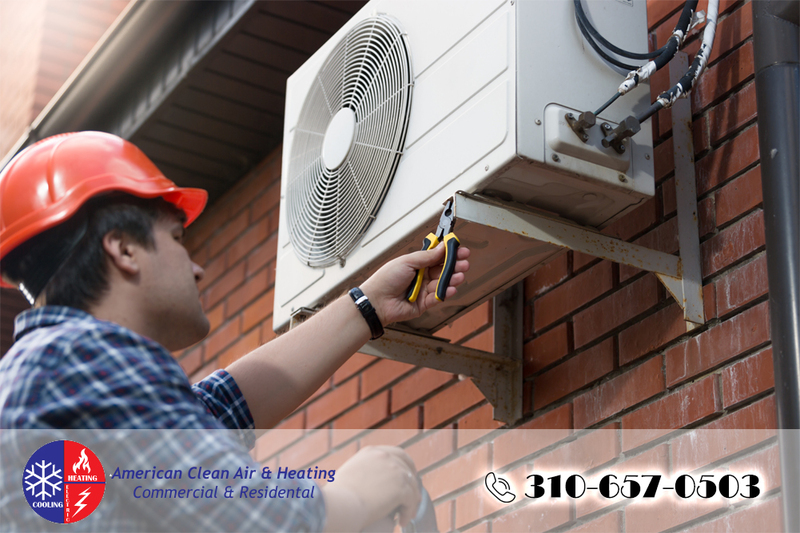 If you think you may be in need of air condition repair in Woodland Hills, take the time to call our office at American Clean Air and Heating at 818-406-6000. We provide high quality, reliable repairs, service and installation work and can give you the fast response time and service you need to get your system running well again.